It's New Year's Eve here in New Zealand and I thought it would be fun to go back through the cards I posted to my blog in 2014 and choose my personal favorites. A lot of people do this at this time of year and I enjoy seeing their cards, so here goes. If you click on the month, it'll take you to the orginal post. This card was for my mother's birthday. She got me into card-making and she loves butterflies, so I put extra effort into this card and I love the Fossil Stone background. There were slim pickings in April and May because that was when we were living in the garage while our house was repaired after the major earthquake in 2011. At the same time, I was going through a restructure at work, which ultimately led to me finishing up at CourierPost after 32 years. 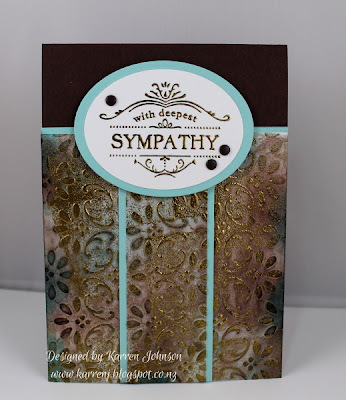 I love the faux patina technique and also like the layout of this card. 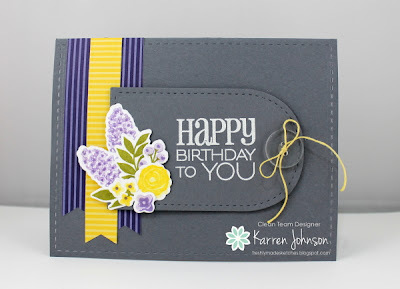 Yep, another card featuring dark gray - I'm sensing a pattern here! I love the flower arrangement and the font of the sentiment on this card. I think I'd only just got the stitched mats dies and was using them on every card - not much has changed in that regard LOL. I'll go through the second half of the year tomorrow. Thanks for visiting. 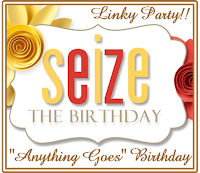 Edited to Add: I'm linking this up to both Mynn's and Lyndal's Favorite Cards Linky Party. The top layers are popped up with foam tape. Some pink and clear sequins finish off the card. 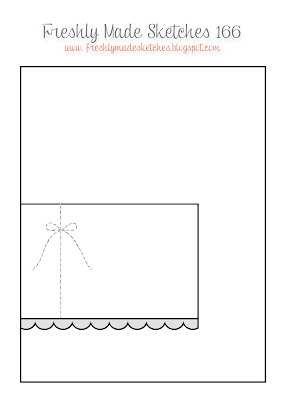 Edited to Add: This card got a shout-out at CAS(E) This Sketch. Well, it's been over a week since I last posted on here. I hope everyone had a wonderful holiday break. Today's card did not come out how I imagined, but I'm posting it anyway! 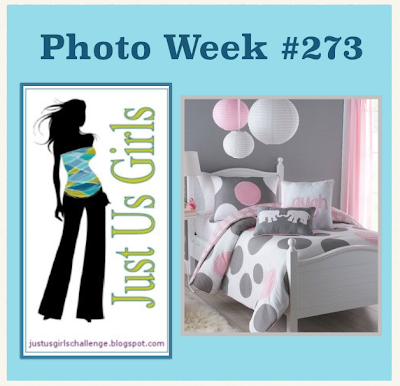 As soon as I saw the inspiration pic at Just Us Girls, I immediately knew what layout and colors I was going to use. All I needed to do was decide on the stamps. I wanted a large sentiment over multiple lines and this was all I could find in my stash, so I went with it. I started with a Fog card base. I then white-embossed the sentiment and a couple of hearts onto some Cotton Candy cardstock. A part circle was cut from some Slate cardstock for the top layer. I decided the Slate layer was too plain so I white embossed the diagonals down each side and added some gray and white baker's twine. The Slate layer is popped up on foam tape. Thanks for visiting. It's obvious I need to get back into my craft room as the week-long break hasn't done my any favors! Accessories: White EP, Lil' Inkers Stitched Circles, American Crafts Twine. Hi! I should be sick of making Christmas cards, but still I keep churning them out - even though I don't need any more this year! 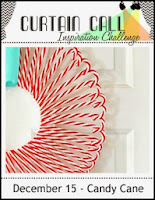 This card is for the Candy Cane theme at Curtain Call, as well as the challenge at Fusion (this time I'm using the inspiration pic). I also used the sketch from Pals Paper Arts. The gingham panel down the left hand side is a stenciled piece using the Gingham stencil from SSS and some white embossing paste I colored red. 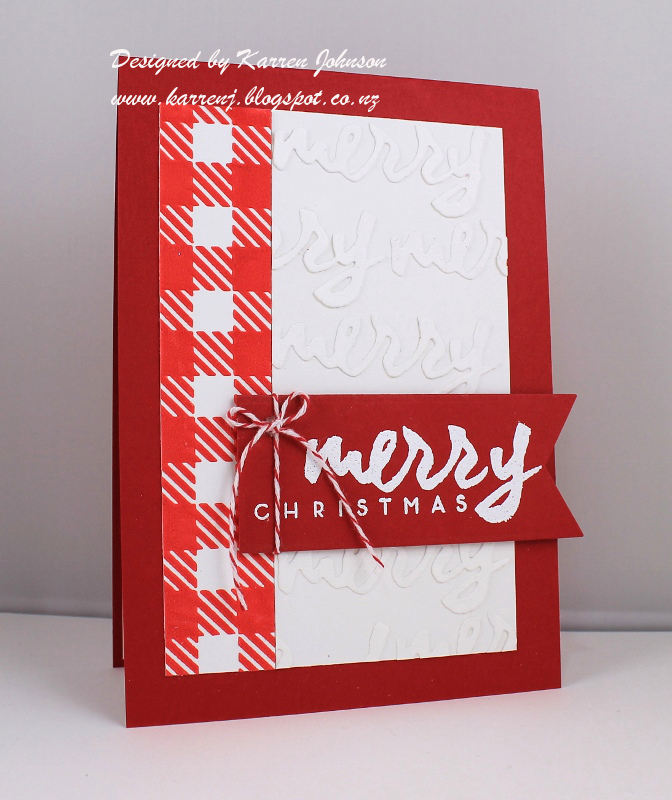 The white panel has several die cut "merry" words layered onto it. The banner is white embossed and has a little twine bow. And that's it! Thanks for visiting. I hope your Christmas preparations are winding down and you are getting the chance to relax. 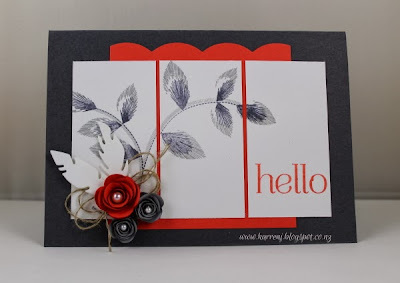 I am also entering this into Simon Says Stamp's Winter Inspiration challenge. I took my inspiration from the dog and the antlers in the below pics. I colored up my critters using Copics, making sure to use red and artichoke as the non-neutral colors to meet the color challenge. The hat, scarf and antlers were painted with Wink of Stella. I then cut them out and mounted them onto a stitched tag using foam tape. The sentiment got the same treatment. 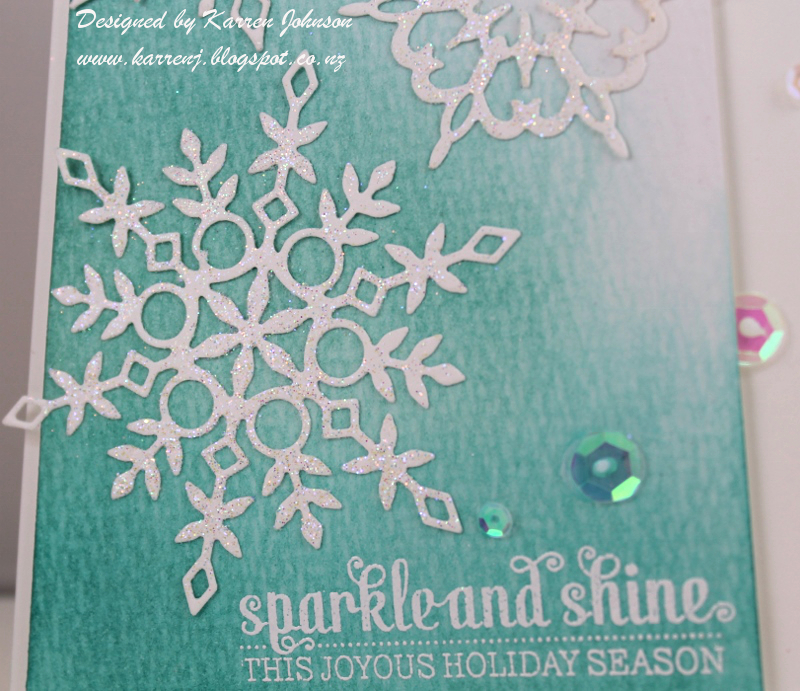 I used the Falling Snow stencil and embossing paste on the card base to mimic the grunge in the sketch. 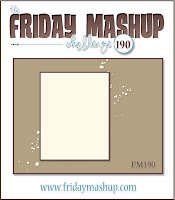 Edited to Add: This card was top pick at Friday Mashup and got a shout out at Colour Me. I have to admit, I struggled a bit with this sketch - so many layers for this CAS girl :) So I fell back on the old stand-by when a card isn't working - black layers. I find layering with black really helps bring everything together for a more cohesive end result. As you can see, I flipped the sketch on its side. 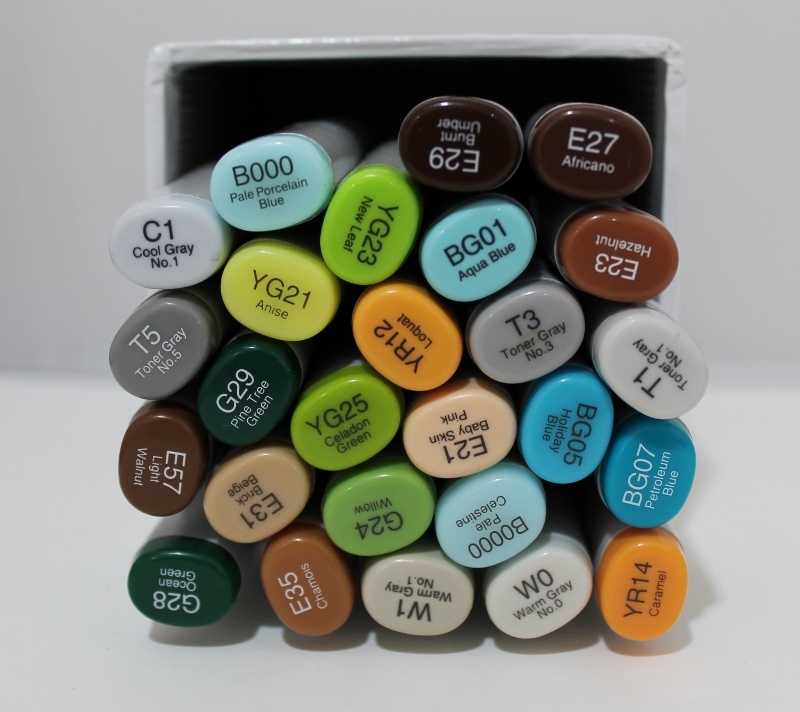 I used Lost Lagoon as my base color, along with white, black and vellum. 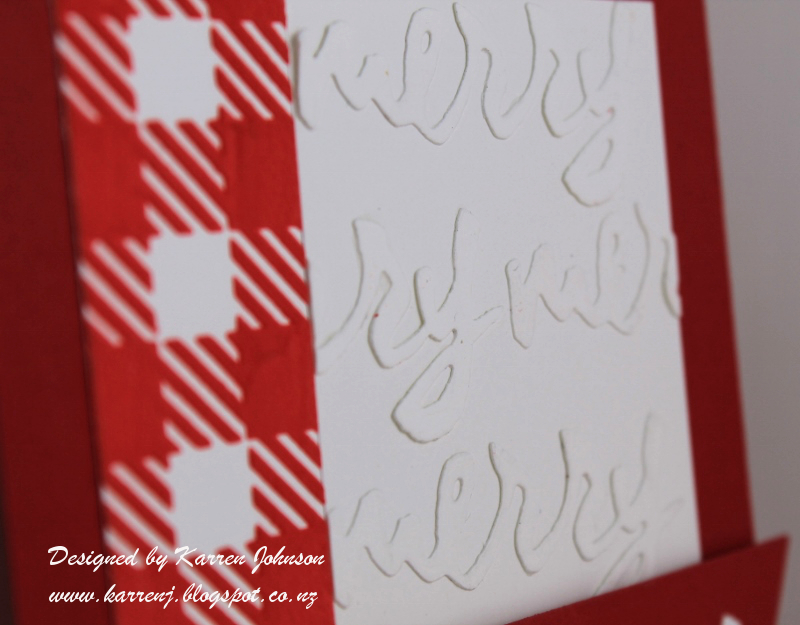 The horizontal and vertical panels were embossed with the Tiny Triangles embossing folder to add some interest. 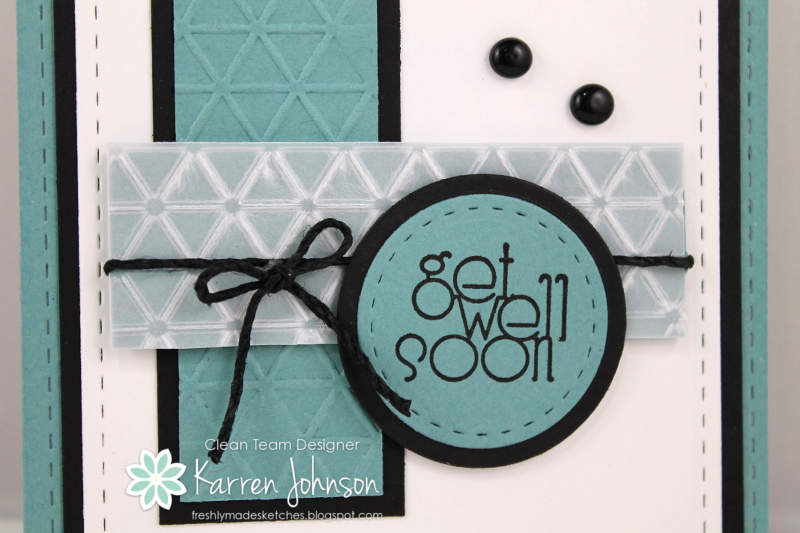 I love the font on this sentiment, and while I don't currently need a get well card, I'm sure the need will come around soon enough. This card was designed along masculine lines to suit a male. Thanks for visiting. 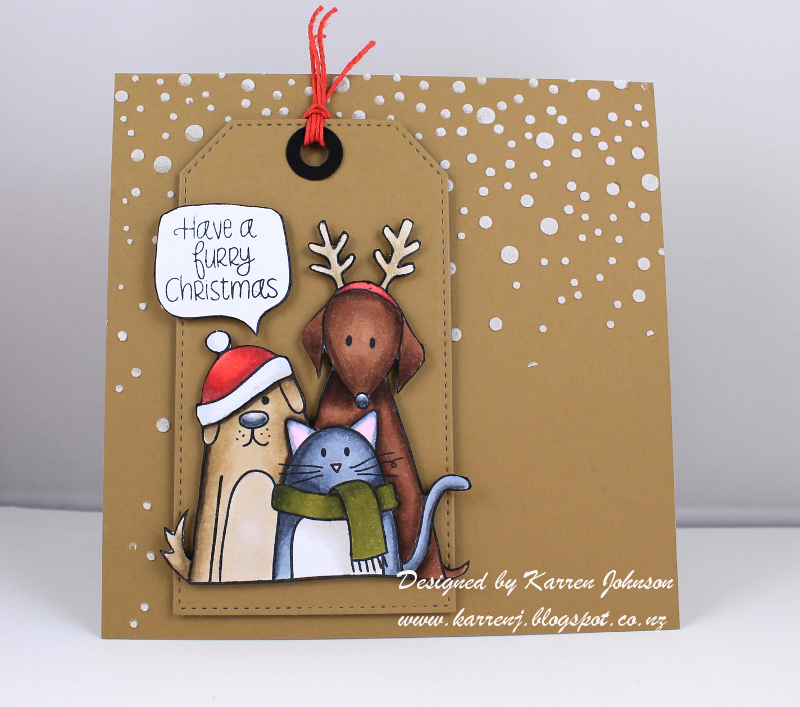 The design team have a wonderful array of gorgeous cards to tempt you for this, our last challenge of the year. 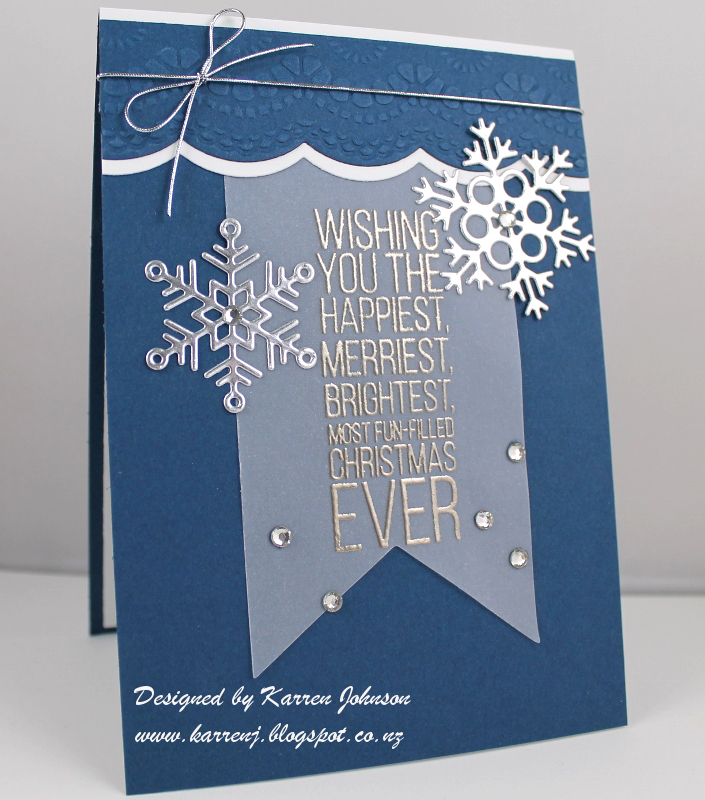 Anyway, I won their second challenge and was invited to play along as GD on this challenge, which is a cool color challenge to use silver, blue and white on a holiday card. The stamps I used on this card come from an Inkadinkado set I've had for probably 5 years. I silver embossed the snowman onto a piece of Midnight Muse cardstock then cut it out with a stitched circle die to get the stitch lines on the inside of the circle. 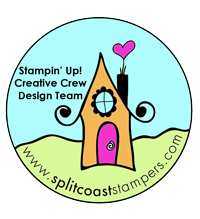 I then used the same circle die to cut a circle out of a piece of white cardstock which added stitching to the outside of the circle. 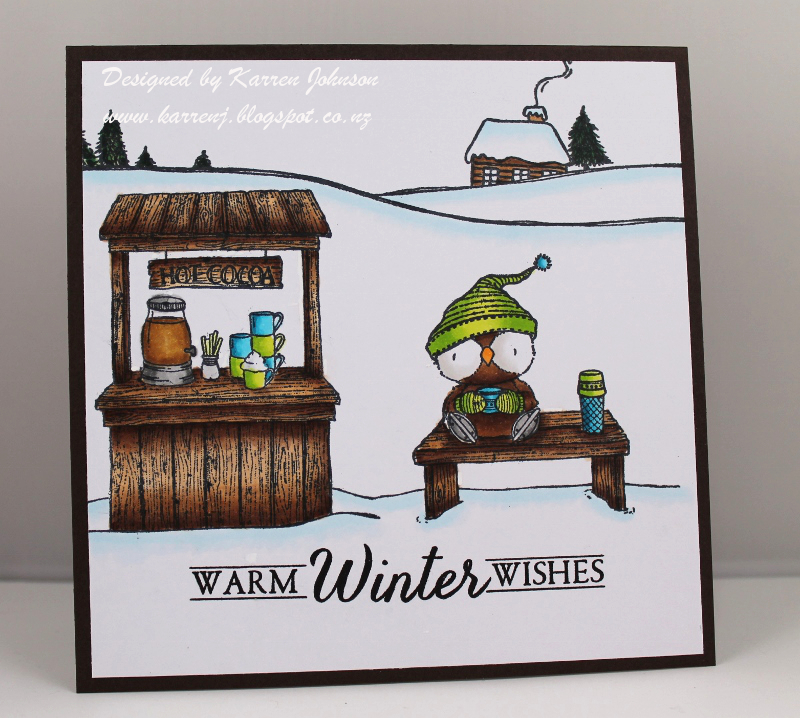 The sentiment was stamped in Midnight Muse ink and the whole panel was mounted onto the blue panel using foam tape. A strip of silver glitter paper added a bit of sparkle down the right hand side as did the rhinestones. 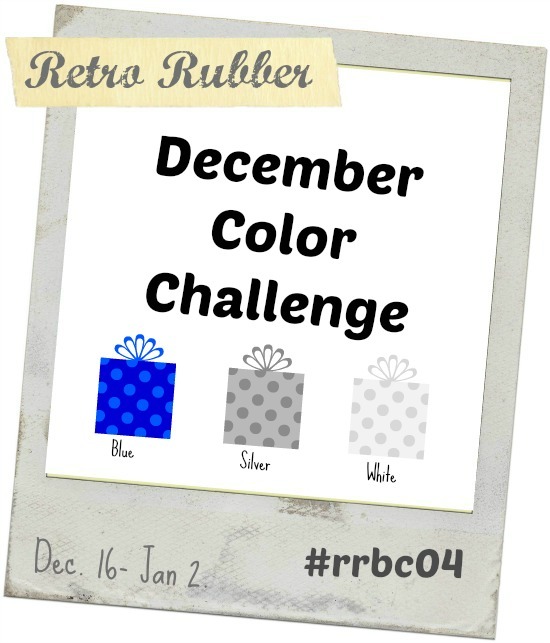 I hope you'll find time to support Retro Rubber Challenge. I wish them all the best! Hi and welcome to Merry Monday. 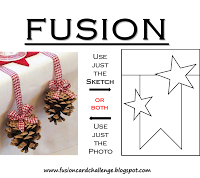 This week, it's my turn to host the challenge and I've gone for an easy theme, given that Christmas is only 10 days away! 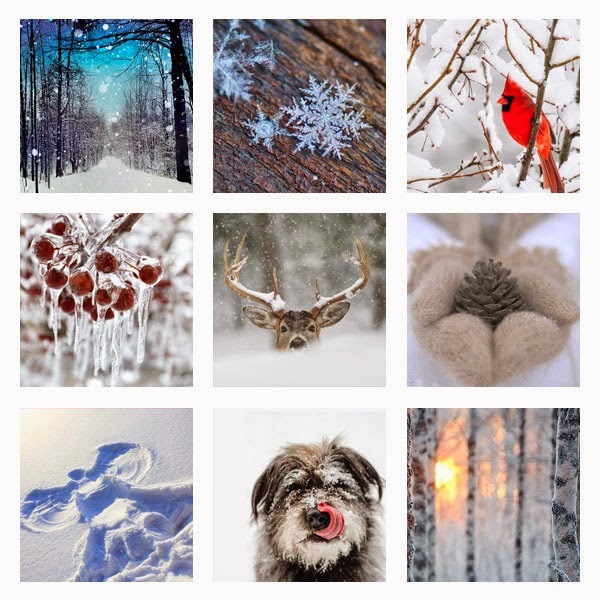 My challenge is to create a winter-themed Christmas card. Easy, right? 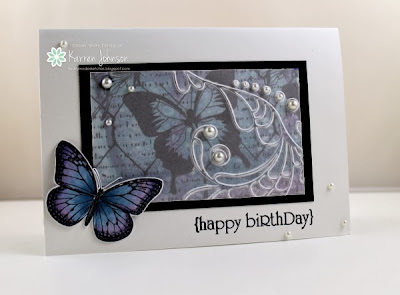 For my card, I decided to create a little scene using some Purple Onion stamps from the Stacey Yacula collection. I stamped three separate images onto some X-pressit cardstock and colored them with Copics. For the record, my little cabin is sinking into the snow on purpose (actually, I didn't realise I'd stamped it crooked until I was coloring it at the very end). The sentiment comes from PTI's Two Feet Deep set and suited this little scene perfectly. I kept the layout really simple and just layered the panel onto a 5 1/4" square Early Espresso cardbase. Thanks for visiting. 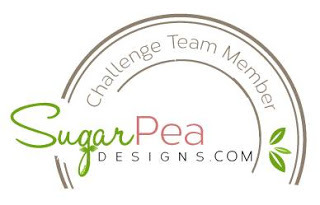 The design team have done a great job with my challenge and I hope that you can squeeze in a few minutes to make a card to link up to the gallery. I've moved away from making Christmas cards today and made a bright and cheery birthday card. 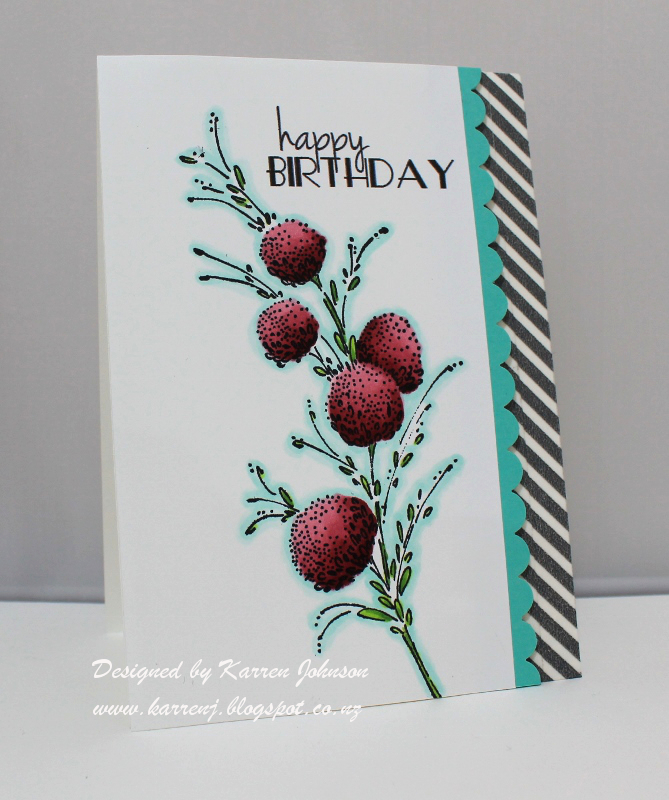 This card uses the fabulous sketch at Retro Sketches, the colors at Color Throwdown and I'm also entering it into the current Seize the Birthday challenge. I used both pink and red shades in my flowers so I hope this meets the criteria at Color Throwdown. The leaves were colored in shades of green and I outlined the whole image with aqua to tie in with the scalloped piece. The right hand panel is washi tape. Edited to Add: This card got a shout out at Retro Sketches. 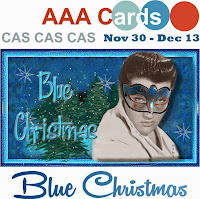 Today I'm playing along with the Blue Christmas challenge at AAA Cards, the sketch from Fusion and the color challenge at Colour Me. I started out by silver-embossing the sentiment onto some vellum paper then cutting it with a banner die. 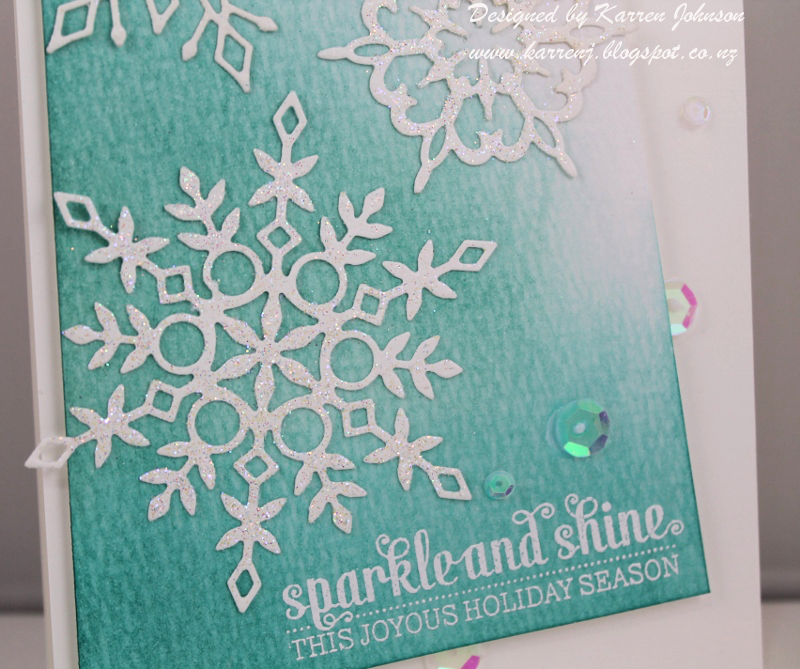 The snowflakes were die-cut with silver paper. 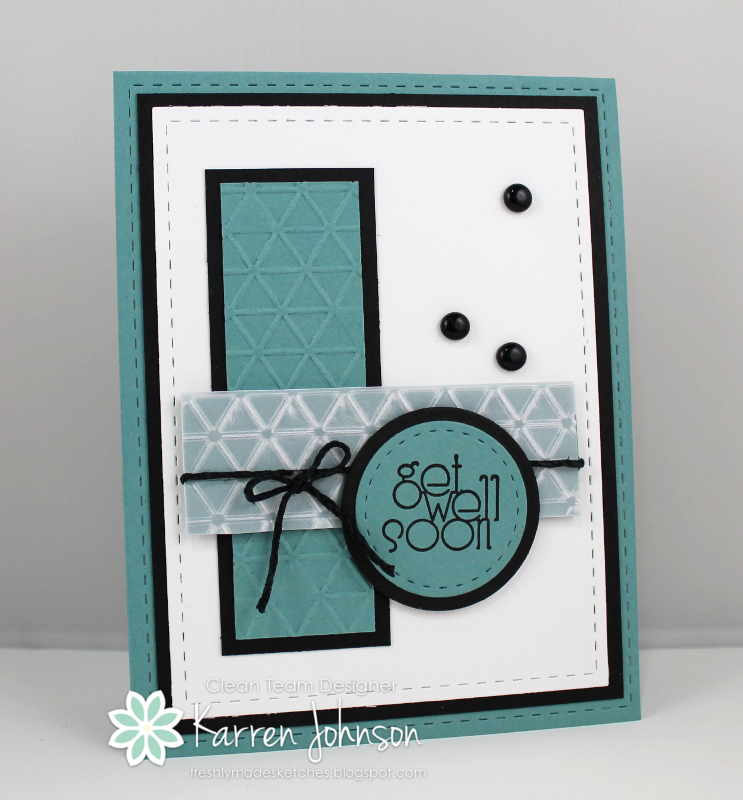 For the top of the card, I embossed with a SU embossing folder then die cut with a scallop die. 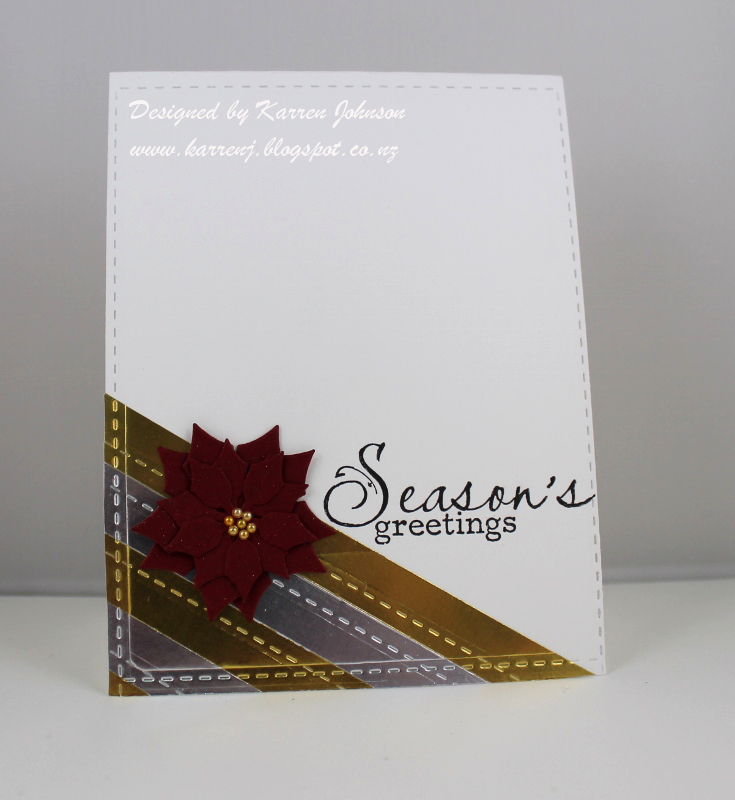 A white layer provided some contrast with the card base. 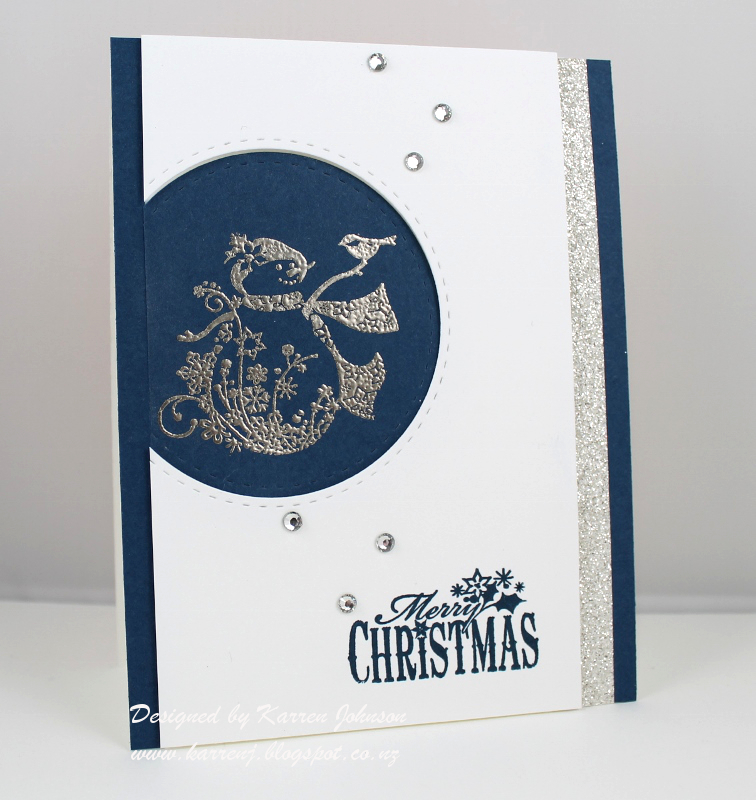 I put dots of glue under the rhinestones to adhere the vellum to the card base. Some silver elastic cord finished the card. Edited to Add: This card got a shout out at Fusion. 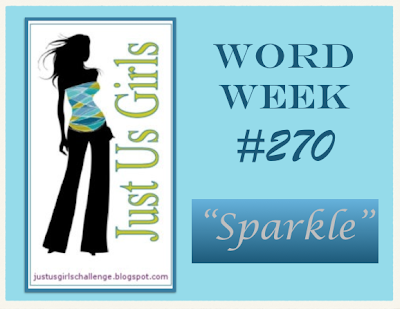 I took some time this morning to make a card using the colors from Pals Paper Arts, the sketch from CAS(E) This Sketch and the "sparkle" challenge at Just Us Girls. I just want to say for the record, that I hate working with glitter :) I cracked open my Heat & Stick powder for this card and it was so old that it was all lumpy. Between that and accidentally turning on my heat gun before putting excess glitter back in the container, I had glitter and powder everywhere! It was so bad, I had to stop in the middle of making this card and vacuum the floor! Here's a couple of close-up shots so you can hopefully see the glittery snowflakes. Anyway, back to the card. I sponged Soft Sky, Pool Party and Bermuda Bay ink in ombre fashion onto some watercolor paper. 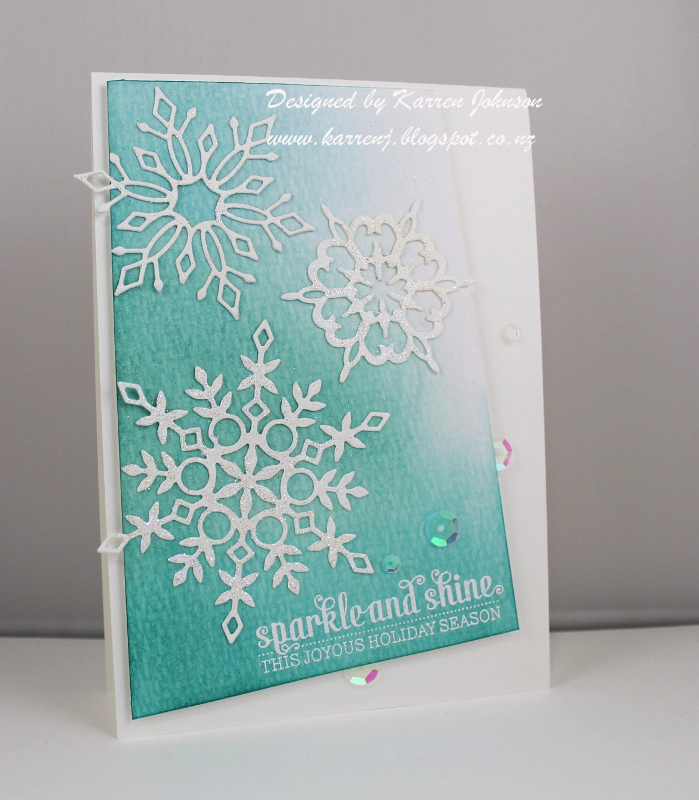 I then die-cut some snowflakes and glittered them (make is sound so easy, doesn't it!). 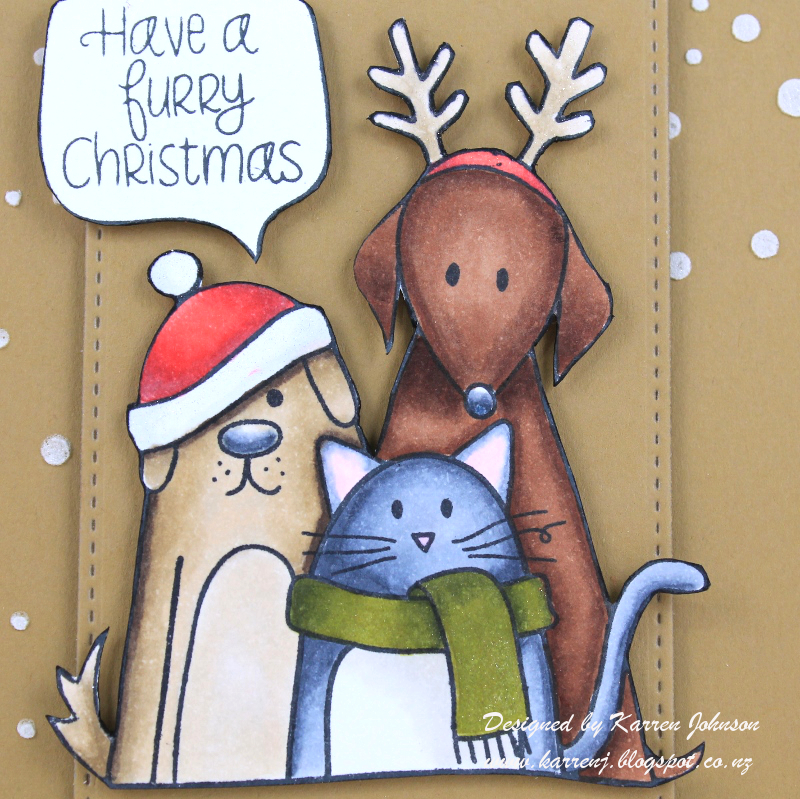 The sentiment is white embossed and the whole watercolor panel is popped up on foam tape. Some random sequins finish off the card. 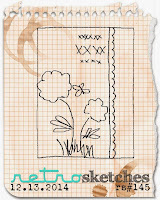 Edited to Add: This card was a pick at Pals Paper Arts and CAS(E) This Sketch. I kept my card simple with lots of white space. 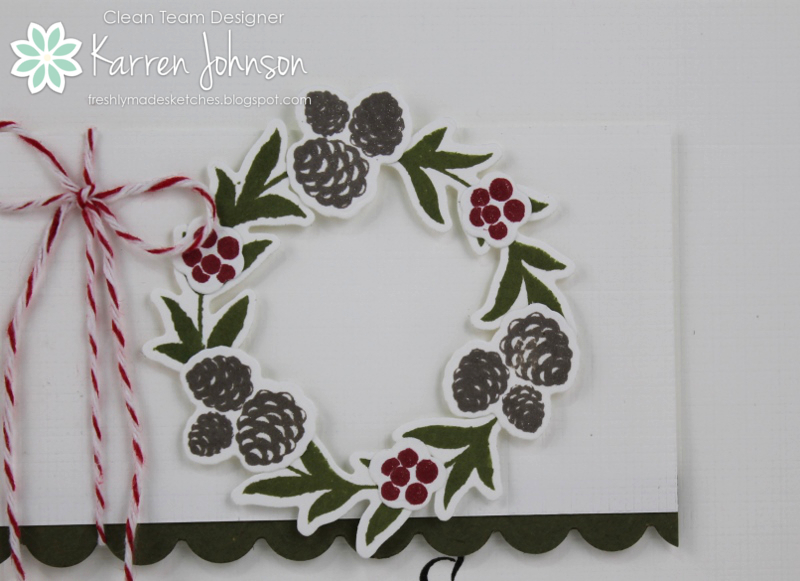 I stamped the various components of the wreath using before cutting out with the matching dies. I painted Wink of Stella over the pinecones and berries before putting it all together. 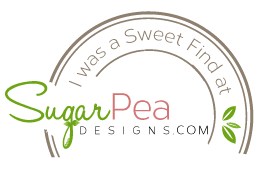 The scalloped strip was cut with some Olive cardstock and all the white panels were run through the Big Shot with PTIs Canvas plate to give a subtle texture. The rectangular panel is popped up on foam tape. Thanks for visiting. 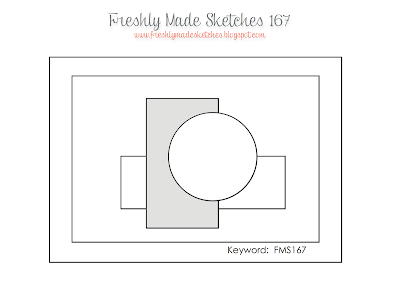 I hope you'll have some time to make a card using my sketch. 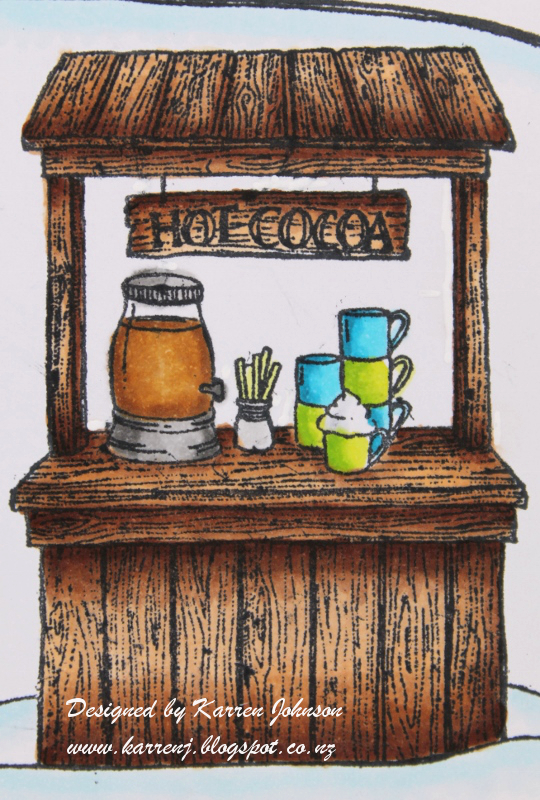 And be sure to check out what my teamies have done with the sketch - amazing! Accessories: Fall Wreath die (SSS), Rectangle Scalloped Nestabilities, Canvas plate (PTI), American Crafts Twine. 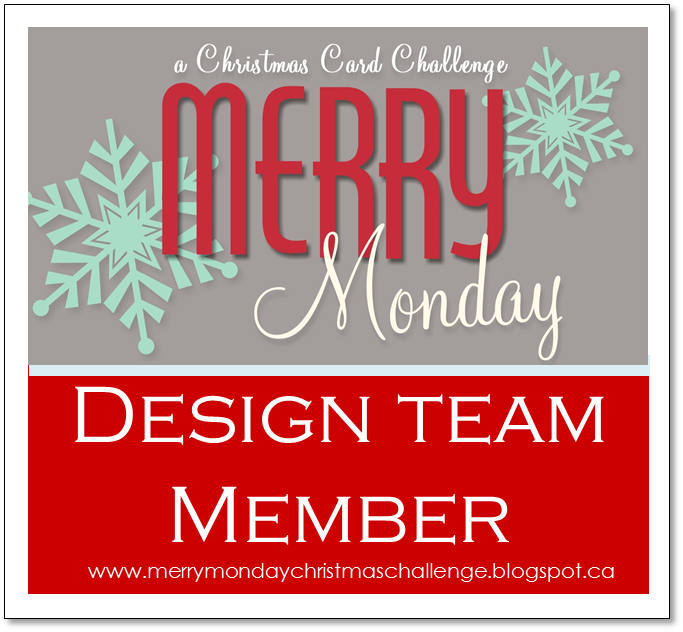 I'm back with another Merry Monday challenge. 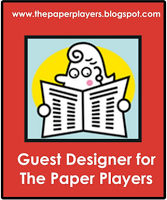 Debbie is our hostess this week and her challenge is to use silver, gold, white and one other color on our cards. I cut some half inch strips of gold and silver card and ran one side of each through a stitched die. From there I positioned them onto a white card base and ran the whole thing through the Big Shot with my stitched rectangle die. 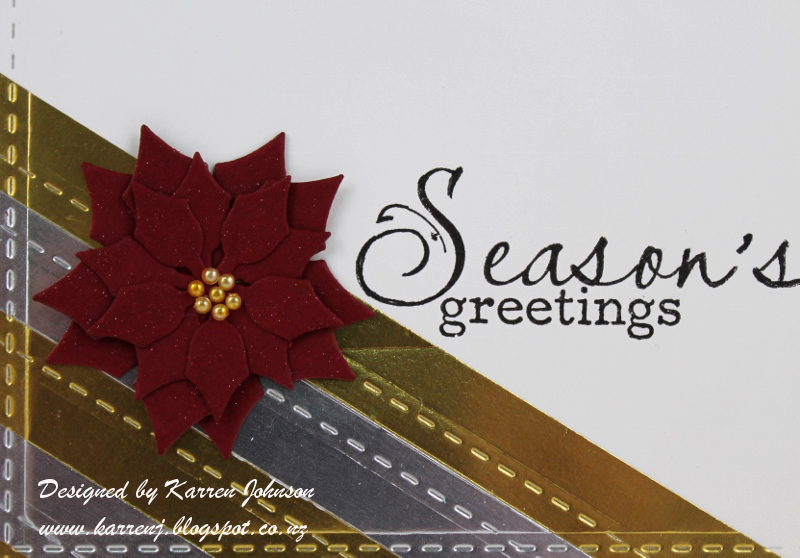 The poinsettia was made using the smallest two petal dies from the Spellbinders Layered Poinsettia set. For the center, I colored some tiny pearls with a copic marker to make them gold. I then painted the flower with Wink of Stella and you can see a bit of the shimmer in the photo below. 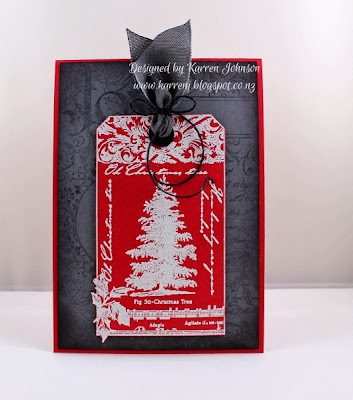 The gorgeous sentiment is from the Clearly Besotted/SSS set called Holly Berries. 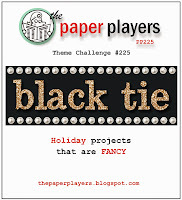 I'm entering this card into the Black Tie challenge at The Paper Players. Thanks for coming by. 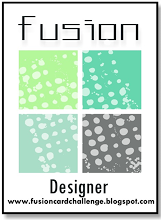 Be sure to check out the rest of the design team's cards for some wonderful inspiration.